Our mission is to make a meaningful difference in the lives of thousands of the most vulnerable infants through world class research and innovative products. Prolacta Bioscience is a privately held, life sciences company dedicated to improving the quality of life in the most fragile infants through the harmony of nature and science. We create specialty formulations made from human milk for the nutritional needs of premature infants in neonatal intensive care units (NICU). These formulations are sold to NICUs around the country. 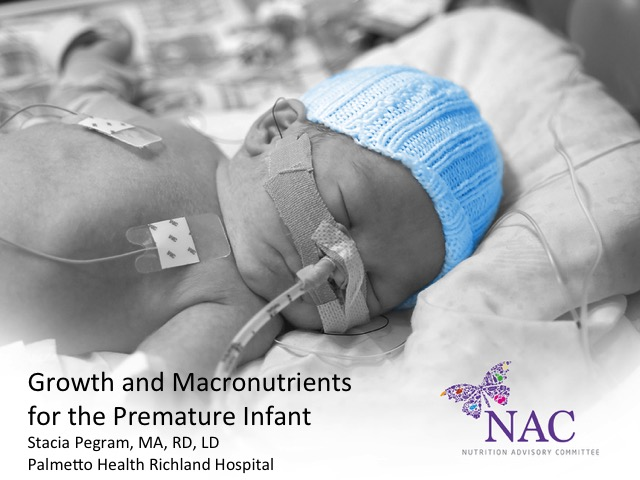 In the next webinar series from the Nutritional Advisory Committee, Cathy Laarman, RD will provide an overview on how to identify signs and symptoms of Cow's Milk Protein Allergy, review the guidelines for diagnosing CPMA and the appropriate nutritional intervention to treat an infant with CPMA. Parents should be given full information on the benefits of human milk for their newborns, as well as the health consequences of not using human milk, and the risks and costs of formula feeding. Review the study and findings from the "Randomized Trial of Human Milk Cream as a Supplement to Standard Fortification of an Exclusive Human Milk-Based Diet in Infants 750-1250 g Birth Weight."